Brenau junior Courtney Hayward finished first in the 500-yard freestyle event at the 2016 NAIA national championships in Columbus, Georgia. 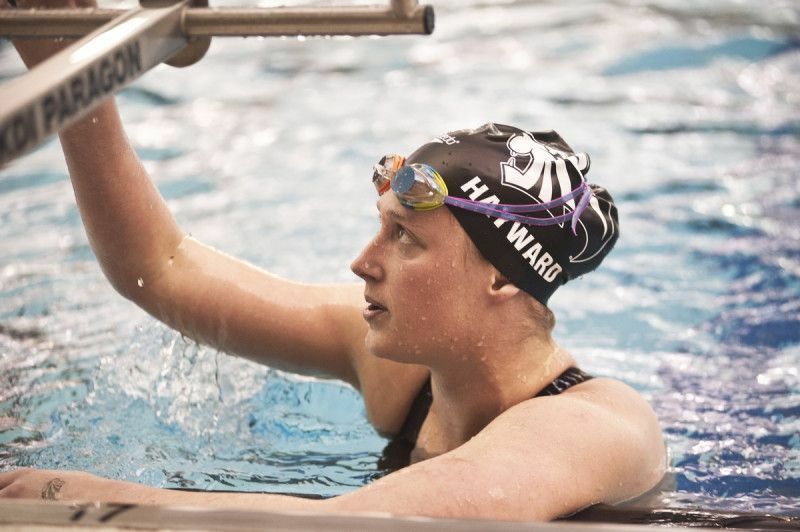 Junior Courtney Hayward set a new Brenau record March 3, finishing the 500-yard freestyle at the 2016 NAIA Swimming & Diving national championships with a time of 4 minutes, 56.34 seconds. The first place finish marks the Townsville, Australia, native’s third consecutive national title in the event. Her impressive 20-point performance lifted Brenau to fourth place in the standings. After the first of three full days of competition, the Golden Tigers have 105 points, trailing Biola (107), Olivet Nazarene (163.5) and SCAD Savannah (205). The No. 2 Golden Tigers continue their quest for the national championship over the weekend in Columbus, Georgia. A full recap of the first day of events is available at http://www.brenau.edu/news/hayward-sets-record-500-yard-freestyle.